What are the top landmarks in Buenos Aires? Learn more about the local history when you visit Obelisco, a well-known historical site in Comuna 1. While you're in the area, find time to visit its shops. Discover world-class shopping, fine dining and vibrant nightlife in the trendiest and largest neighborhood in Buenos Aires. Enjoy a performance or just snap a photo at Teatro Colon, one of the best theatres in Comuna 1. While you're in the area, find time to visit its shops. This area plays many roles in Buenos Aires, from financial district and political hub, to tourist center and shopping precinct. Palermo is a welcoming neighbourhood with many tasty options for cafes, restaurants and bars. Retiro is a welcoming, walkable neighbourhood. The neighbourhood has many appealing features, among them its architecture. Broaden your horizons with some local shopping. 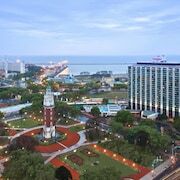 One of the city’s grandest and most elegant neighborhoods is also the final resting place of leading figures from Argentina’s history. Museums and art galleries, a riverboat casino and a lively nightlife await at Buenos Aires’ sparkling waterfront neighborhood. Walk along historic cobblestone streets and visit antique and flea markets in one of the most charismatic neighborhoods in Buenos Aires. 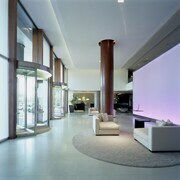 The hotel was during remodeling of the common area. There is lot of dirt. Our room was next to the street and one of the window couldn’t be closed completely which allowed quite a bit of street noise to come into the room. Known for its warm weather and stunning architecture, Buenos Aires is a top vacation destination in South America. Countless travellers and holiday makers make the trip to the city to stroll through its charming streets and shop for locally made crafts. 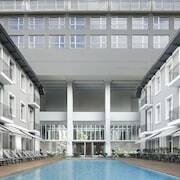 Stay within walking distance of famed sites like the Paseo del Rosedal or stay in a comfortable downtown hotel if you are coming to the city for business. Those looking for the ultimate in luxury, excellent locations and unique themes then you are in luck. 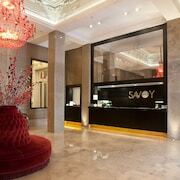 The city has a lot of beautiful lavish hotels with excellent restaurants, pools, wellness centres and sports grounds. Check out the five star offerings in the Recoleta district, and Retiro Park where you can enjoy a stroll among the trees and admire the Jose de San Martin Monument. 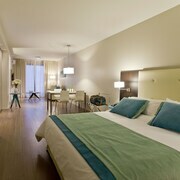 Discover Bienos Aires hidden gems and escape your fellow tourists with a hotel outside the city centre. Discover the old colonial neighbourhood, San Telmo, the eerily beautiful Recoleta Cemetery and the green Bosques de Palermo. Other eclectic neighbourhoods include Colegiales, Balvanera, Belgrano or Puerto Madero – all providing an excellent and very broad range of hotels. From luxury apartments to hostels, all price ranges are covered in Buenos Aires. Most hotels will go out of their way to make exploring the city as easy as possible, offering tourist guides, maps and recommendations. 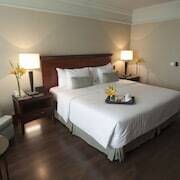 Buenos Aires offer top quality accommodation for knock down prices. Grab a two or three star hotel close to the city centre or if you’re after something a little more interesting, go for something in the middle of the so-called Micro Centro. It’s no wonder that tourism in Buenos Aires has been so sharply on the rise since 2002. As a visitor here you will be truly spoiled with tango shows, shopping centres, music festivals, hiking and traditional weekly art and antiques fairs. 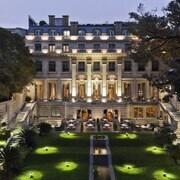 Book a hotel in Buenos Aires today. Explore Buenos Aires with Expedia's Travel Guides to find the best flights, cars, holiday packages and more!